The proposal offers a living and dinamic garden with different areas, architectures, paths, pools and service spaces, in order to produce a new and unique location for the hotel guests. 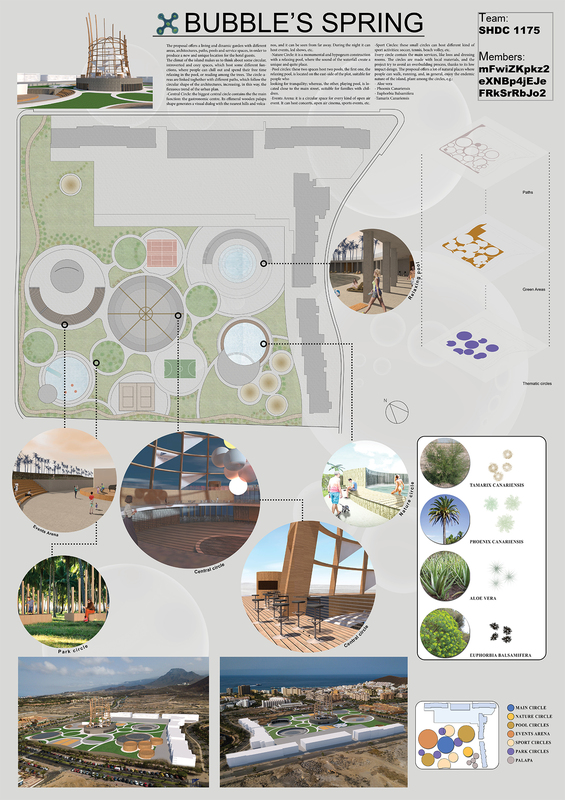 The climat of the island makes us to think about some circular, introverted and cozy spaces, which host some different functions, where people can chill out and spend their free time relaxing in the pool, or reading among the trees. The circle-areas are linked toghether with different paths, which follow the circular shape of the architectures, increasing, in this way, the flexuous trend of the urban plan.